This weekend, we’re going camping. So, I wanted to make something fun to snack on while we’re out in the hot sun. 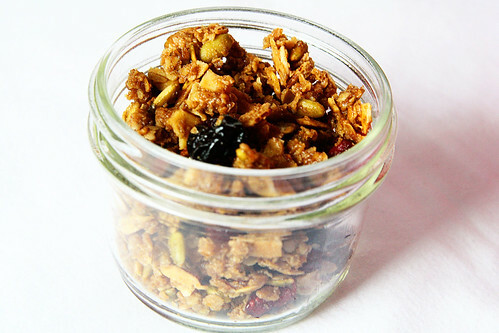 What better than granola? 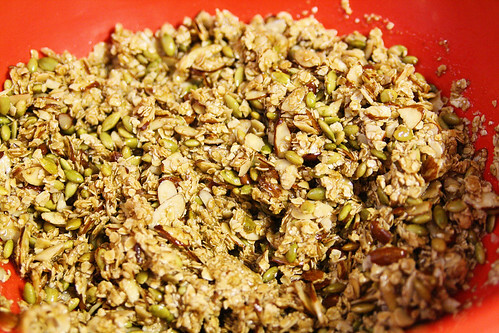 It’s healthy and this version is very flavorful. 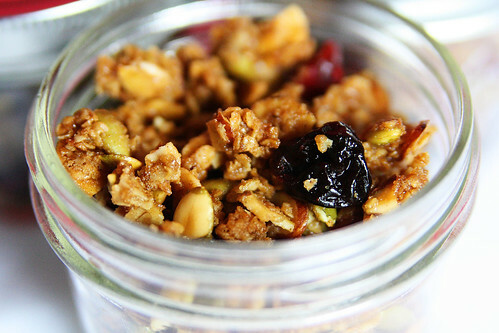 I love the nuts and dried fruit in it. It’s the perfect camping snack! 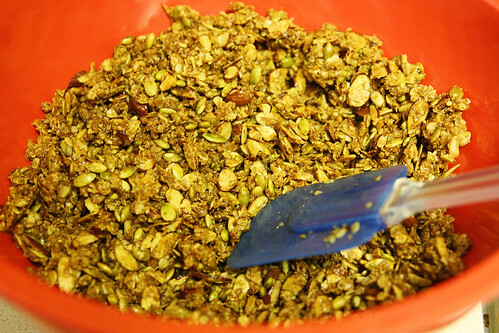 Mix together the oats, almonds, pumpkin seeds, maple syrup, olive oil, brown sugar, salt and cinnamon. 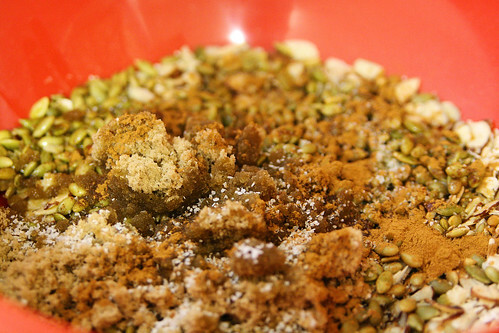 Be sure to crumble any clumps of brown sugar. 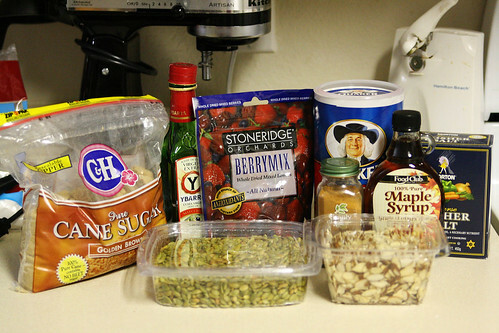 Spread the mixture in an even layer on a foil-lined baking sheet. Bake for 45 minutes at 300 degrees, stirring every 10 minutes. 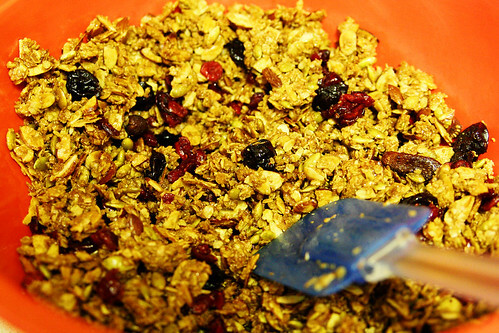 The granola will be golden when it’s done. 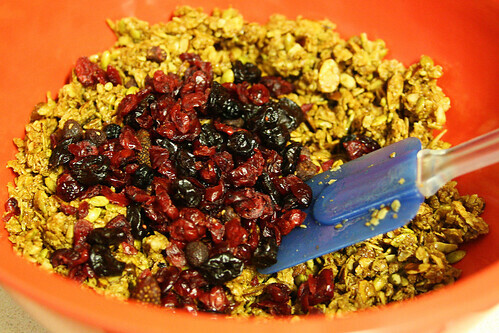 Stir in the mixed berries. You can put it in Mason jars for storage. Or in a large Ziploc bag to take camping. Need a light, healthy snack this summer? 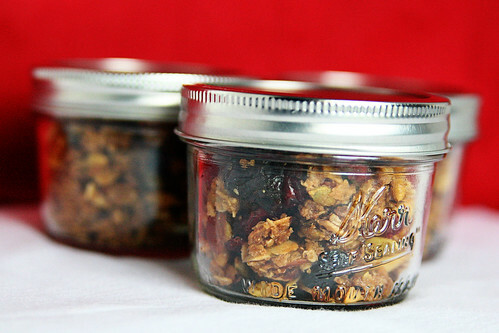 Try homemade mixed berry granola. So yummy!